Biosis 37: Research in Biological Medicine, Superfoods & More! - Gary M. Verigin, DDS, inc. Gary M. Verigin, DDS, inc.
Is it really, as Sophie Tucker once sang, human nature to complain? 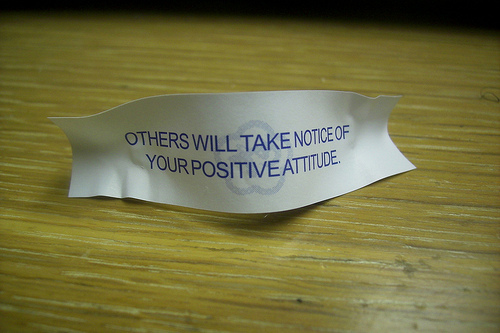 Negativity is sure easy. And it seems we’re bombarded with more of it every day – from the mockery and vitriol of politicians and pundits to “flame wars” in discussions online. So much cynicism. So much pessimism. And often, our reaction is just as negative. We get depressed. We get angry. We even lose hope. But here’s a hard truth: Our reaction is a choice. In this world of seemingly limitless choices, decision-making can seem daunting. Making good decisions requires mindful discipline. But discipline is what directs our attitude. And attitude is everything! As Zig Ziglar says, “Beware of stinkin’ thinkin’ and hardening of the attitudes!” Choosing the positive, on the other hand, has real effects – not just on our own health either, butpossibly that of others. In my work at our office, I sometimes wear many hats. My to-do list sometimes seems never-ending, and those times, it’s so easy to procrastinate just a bit. “I’ll get it all done later,” I tell myself – and get depressed and feel more overwhelmed than ever. It takes some work to get back on the disciplined path, yet I’m rewarded by a feeling of accomplishment when I see how many items I’ve checked off my list by the end of the day. I enjoy my work more – and I enjoy my life more. But just because something is difficult doesn’t mean that it can’t be done – including choosing to ac-cen-tu-ate the positive. It does mean that the results are especially valuable! Pop quiz: Brushing and flossing have been well proven to reduce dental biofilm (plaque) more than brushing alone – true or false? Not quite, according to a recent literature review in Evidence-Based Dentistry. Using the GRADE criteria to judge the evidence, studies were determined to be of very low quality. This means we cannot be certain as to the estimate of the effect (from the meta-analysis) of flossing on gingivitis or plaque reduction. None of the studies reported a sample size calculation. None described adequate sequence generation or concealment of the sequence allocation. Thus, seven studies were rated as having an unclear risk of bias and five at high risk of bias. Furthermore, seven studies were sponsored by industry. Two of the five studies that did not disclose sources of funding were both conducted by authors whose affiliations reveal possible or real association with the industry who produced the investigated products. Also, there was concern related to inadequate compliance in many studies and the potential influence of confounders as other possible sources of bias. So does this mean no flossing, no problem? No. It just means that there’s no clear evidence of benefit it provides beyond just brushing. And truth be told, most dental practices and treatments rest on limited scientific evidence. As a 2006 article (PDF) in the Journal of the California Dental Association noted, “Perhaps as little as 8 percent of what dentists do is justified by peer-reviewed, published, and appropriately analyzed dental research” (emphasis added). We do know that biofilm left to its own devices leads to decay, especially when one eats a lot of refined carbs. Cleaning your teeth breaks up these microbial colonies, interrupting their decay-causing activities. The question isn’t whether you should clean your teeth but which ways are most effective? 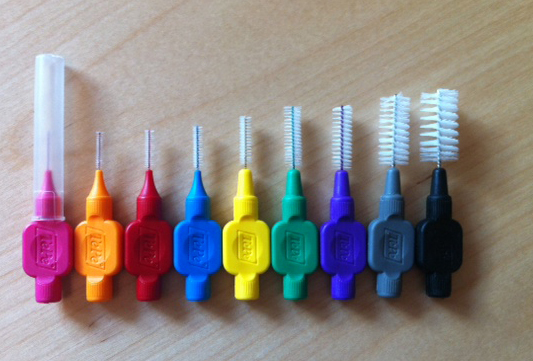 The evidence showed that interdental brush use as an adjunct to toothbrushing removes more dental plaque than brushing alone, being even more effective than dental floss or woodsticks in removing dental plaque. The evidence available for the effect on gingival inflammation is less conclusive. 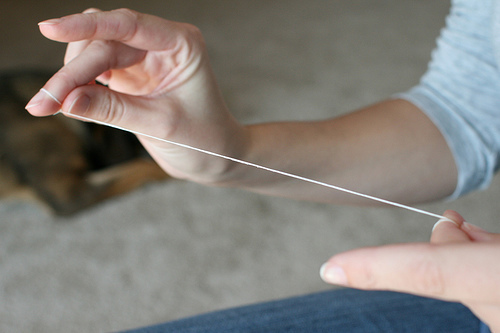 The reduction of pocket depth after the use of the interdental brush is more pronounced than with floss. One of the best things about attending the Occidental Institute’s 40th anniversary symposium in Vancouver, BC, this past June was re-connecting with Carolyn Winsor-Sturm. She’s the Institute’s managing director and CEO, and also an old friend and mentor. In fact, my journey in biological dental medicine began with her and her late husband, Dr. Walter Sturm. The Occidental Institute Research Foundation (OIRF) was the first organization in North America to offer training in traditional acupuncture. To this day, it serves as a bridge between top German figures in Biological Medicine and progressive, English-speaking practitioners worldwide. They offer exclusive books and other educational materials, hands-on seminars and yearly clinic lecture tours to Germany. Their bimonthly newsletters contain at least two research articles translated from German to English. Back in the early 1980s, OIRF coined the phrase “Biological Medicine” to describe the vast range of natural and non-allopathic practices they study. So when Dr. Ed Arana and I were forming an organization that would focus on the use of those practices in the dental field, it seemed only logical to name our venture the American Academy of Biological Dentistry. This organization continues today as the International Academy of Biological Dentistry and Medicine. I was privileged to lecture at this year’s OIRF symposium, “Diagnosis and Therapy Applications for your Biological Medicine Practice” – and as the sole dentist, no less! It was great to talk with like-minded colleagues while learning from other world leaders in energetic medicine. And Carolyn treated us all as family, with the OIRF providing good food, good drinks and great conversation in a friendly, top-notch hotel. One of my favorite lectures was by Dr. Simon Yu, whose book The Accidental Cure, is a must-read on evidence-based cancer therapies. Noting that the human body has 10 times more bacterial cells than human, he said, “When you think of cancer, think parasites. Think dental factors. Think heavy metals and unresolved emotions.” He showed how this applied to other conditions, as well, sharing evidence-based studies on asthma, migraines, epilepsy, MS and other disorders. When the latest medical therapy fails, he insisted, THINK DIFFERENTLY! I was fortunate to talk with Dr. Yu at length over dinner one evening – and honored by his saying that he wished he knew a dentist like me back in St. Louis, where he practices. “Your approach is nearly a mirror image of my own philosophy and platform,” he said. Another fascinating talk was on “Clinical Applications of Medical Infrared Thermography,” delivered by Dr. Alex Mostovoy, founder and CEO of Thermography Clinic, Inc. Some of the information he shared was mind-blowing! For instance, did you know that 25% of cancers detected by mammogram wouldn’t even have caused symptoms if left undetected? Or that the radioactive blast from just 5 CT scans is enough to guarantee cancer? Consider: A dental x-ray exposes you to 0.01 mSv of radiation; a CT scan, 10.6! Dr. Uwe Ullendahl – originally from Germany and now a naturopath in Ohio – presented his research on “Bio-Resonance with MORA Nova Blood Amplification Resonance Test.” Bio-resonance is how energy, matter and light communicate, and MORA is a tool for both reading and changing it. Similar to tools like EEG and ECG but much, much finer, MORA registers electromagnetic activity, sensing the spectrum of ultra-fine oscillations that is unique to the energetic aspect of every individual. These oscillations are what carry the “information” that controls a body’s chemical processes, and their normal state is one of harmony. Enter pollens or other substances that have disharmonic frequencies to particular tissues, however, and things like autoimmune symptoms and allergies result. MORA therapy – as those of you who are patients at my office may know – is an effective way to address these issues and restore harmony. Another symposium speaker, Dr. Reimar Banis of Switzerland, also presented on a kind of therapy familiar to our clients whose protocols include Psychosomatic Energetic (PSE) remedies like Chavita and Emvita. In fact, Dr. Bannis invented them, and I was grateful for the half hour I got to talk with him, one-on-one, after his lecture. I told him how effective I found these remedies to be and how much patients love them. He expressed humble gratitude – this from a man regarded as one of the world’s most advanced experts in energy medicine! The most significant and interesting lecture was Dr. Craig Wagstaff’s on Phenolic Therapy. Phenolics are the chemical groups we know as neurotransmitters and hormones in the human organism and phytochemicals in the plant world. If you’re sensitive to them, you may have an autoimmune-like reaction or “allergy.” If the source is internal, they can interfere with normal function. And this is a problem because hormones and neurotransmitters also carry information to and from the cells. Obviously, hormone or neurotransmitter dysfunction means corrupted or incomplete information, which can only cause further problems. Yet phenolic compounds can be used therapeutically to shift how neurotransmitters communicate with other components of the matrix (ground substance), letting information pass through again as it should. The body emits ultra-weak light (photons). Photon emission is related to physiology in particular reactive oxygen species (free radicals and un-paired electrons in the mitochondria). Informational aspects of photon emission are related to high-energy transformation in coherent systems. Photon language differentiates between health and disease. Proof: Photon emission is Human. Proof: Health and disease in terms of Coherence. My own presentation offered the dental perspective on and application of this science: “Mapping a Route to Healing for the Medically Compromised Patient in Biological Dentistry, or All Roads Lead to (and from) the Terrain.” For just as a road map shows you where you can go but not how to get there, so, too, the route to healing. As a dental physician, I must carefully plan it for each patient, who may come in presenting a veritable Pandora’s box of stifling symptoms and a confused history of diagnosis. Understanding the terrain is crucial for spurring healing. Focusing on this background for my symposium talk – including a history of biological dentistry’s evolution – I used the ensuing workshop session to address specifics through an actual case history. For it, I was joined by my daughter Dr. Lisa Verigin, whose company (Stand Tall Media, LLC) specializes in online media services for holistic health and wellness professionals. She shared her insights on how “biological dentistry” is marketed, talked and thought about online, and how this contributes to a person’s expectations when seeking help from a biological dentist. This “pre-knowledge” they bring, she explained, is why education becomes such a vital part of the treatment process. For consistently we see that those who understand the key concepts of biological medicine tend to recover faster and regain a better state of wellness. Through the next few issues, we’ll look in depth at the other components of biological treatment and their role in fueling the journey to restored health and well-being. 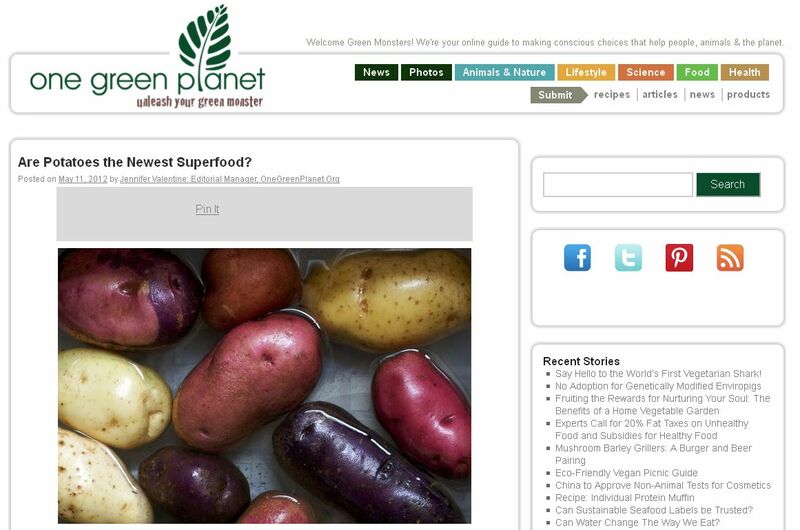 – which aims to clear the “bad rap” potatoes have gotten via an industry-funded study. For the study, Gibson analyzed the food intake records of 876 children and 948 adults who were participating in the UK’s National Diet and Nutrition Survey program. She found that because they are so widely consumed, potatoes contribute more significant amounts of folate, iron, magnesium, and potassium to most people’s diets than traditional “superfoods” like broccoli. Most children in the study also got more selenium from potatoes than from all nuts and seeds combined. A study published in January of this year also found that potatoes lower blood pressure in people with hypertension and obesity without increasing weight. Like the author of this short post, we’ve no reason to doubt the findings, despite the appearance of conflict-of-interest. But do they actually support the notion that potatoes are a “superfood”? All natural foods we eat provide some nutrients, potatoes included. Which nutrients and how much we get depend on the specific food and how it’s prepared. Boil peas, for instance, and you cook out much of their antioxidant content; boil carrots, and their antioxidant levels actually increase. More, to state the obvious, we don’t get any nutrients at all from foods we don’t eat. We looked in detail at all the food intake records of 876 children and 948 adults. Some superfoods are not very popular and the nutritional value is obviously zero if they are not eaten. Broccoli is a good source of folate [Vitamin B9] but the data shows potatoes provide more of this vitamin to the diet overall and also the important minerals iron and magnesium some children lack. Similarly we think of bananas as being a good source of potassium, and they are, but potatoes make a more significant contribution in the diet. They don’t do this because they’re nutritionally superior. They do so because people eat more of them than any other vegetable. To put it another, if slightly cruder way, if you were to eat lots of Hostess Cherry Pies – each of which contains 10% of the RDA for iron – and little spinach, you could logically say that the pies were a more important source of iron in your diet. But this wouldn’t make the pies healthier or more inherently nutritious. Potatoes aren’t evil. But it takes more than that to make something a “superfood.” They’re one option – a good source of potassium, magnesium, vitamin C and folic acid, but not the only source. And they lack many nutrients – and phytochemicals and enzymes – just like any other food. No single food is nutritionally perfect. Hence, the usual advice to eat a varied and balanced diet.